Peter Jones has been writing about paganism for many years now. While many are put off by the term “pagan,” Jones is simply offering the critical components of a worldview which is growing with a vengeance. The troubling news is that many Christ-followers are either unaware the tentacles of paganism or could care less. 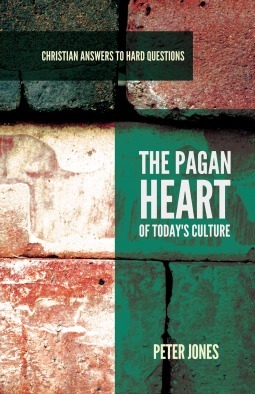 The Pagan Heart of Today’s Culture offers a clear look at paganism through the lens of three isms, postmodernism, Gnosticism, and polytheism. Jones unpacks each worldview in a clear way and alerts readers to the deadly toxins that affect countless numbers of people. The first approach to spirituality results in the wrath of God for failing to honor God as we ought. The second approach to spirituality is the path commended by Scripture. Jones warns readers, “Any system of thought that attempts to describe the world exclusively by the world is in principle Oneist.” Whenever the creature and the Creator are blended into some kind of synthesis, the spiritual results are not only devastating – the results are damning. They must have a clear understanding of the coherence of Oneism. They must affirm the glorious superiority of Twoism and fearlessly declare the gospel of reconciliation with the personal Creator, possible only through the atoning blood of Jesus the sole mediator between Creator and creature. As usual Peter Jones does not disappoint. His passion to equip believers is evident through the book. I commend The Pagan Heart of Today’s Culture to Bible-believing Christians. My prayer is that thousands will read and digest this excellent material with thoughtfulness and humility.